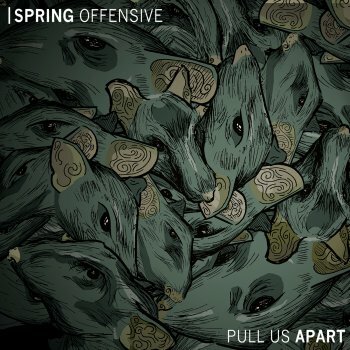 Tweet Spring Offensive’s new album, “Pull Us Apart,” drops Tuesday, June 21st but the album is already making buzz for its dark lyrics and modest tempos. Lucas and Matt stopped by to talk about the band’s music, the origin of the name, Spring Offensive, and the reality of coming to the United States to tour. Q – The name Spring Offensive is very unique. Where did it come from? A - It was taken from the name of a WWI poem by Wilfred Owen. We picked it before we had even written a song. It kind of shaped our sound. Like an inadvertent mission statement. Q – The new album, “Pull Us Apart,” is very dark, both musically and lyrically. When putting this album together, was there a certain mood you had to stay in or are you guys really just dark people? 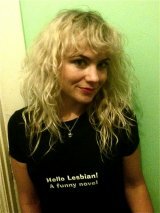 A - We have been getting asked that question a fair bit recently actually! We are not downbeat or negative people. There are no shrines of serial killers or relics from car crashes in our house. We just seem to find that side of things more creatively interesting. Having said that, there was a certain mindset we had when writing the album; born out of all moving to a new town and not knowing anyone. I guess we felt like outsiders. We had to say something fast to make ourselves know. It had to be bold too. We used this kind of dark storytelling to do that. Q – I reviewed the new album and thought there were some Killers and Cure similarities. How would you describe the band’s sound? A - We are big fans of the Cure, the Killers less so. Everyone has their own reference points, so however you intend to sound, people will naturally always listen subjectively. The bands we love aren’t necessarily the ones we sound like (The National, Menomena, iLiKETRAiNS, Wild Beasts, The Smiths, The Antlers, etc). Our sound, hopefully, is always changing depending on what we want to say. We decide what we want to say before how we want to say it. The sound is really just a framework. Q – I love the storytelling in the songs. Which songwriters were you influenced be growing up? A - Nick Cave has an incredible way with a dark tale. The suspense and the humor create this strangely attractive and unsettling mix. Also, a British band from Leeds called iLiKETRAiNS who tell dark, slow stories about figureheads and their decline in British history. They showed us that patience and restraint in songs are the best tools to have. Writing for song could never rival the scope of the written word. You need the music to fill in the gaps. It does however have the advantage of immediacy. Most people seem to be interested in high impact music; music that doesn’t require a lot of work. That’s fine. It is about, as songwriters, both harnessing and challenging that. Q – With the music industry filled with Lady Gaga, Katy Perry and Justin Bieber, will it be difficult blending your sound into the musical landscape? A - Hopefully our paths won’t cross. Success beyond our wildest dreams wouldn’t come close to the mundane reality of Gaga’s and Bieber’s. We are not after a share of their market. Q – Will there be a corresponding tour with the new album? A - We gig all the time, and those songs always have a place in our live show, so there is a bit of a constant ‘drip-tour’ happening anyway. If we can make it over to the States we will. Unfortunately it is not up to us; there has to be enough demand first. We are fully aware that in the States we are still a very new proposition. Read the review of “Pull Us Apart” here: Spring Offensive Mixes the Killers with the Cure and Adds a Twist of Tim Burton.